You’re just a secret girly-girl, aren’t you? ~Maddi, to me when I showed her some pics of ballgowns for the first time. For those of you who know me personally, or at least well enough, you know that I am currently in the midst of thinking, conceiving, planning, and worrying about my oldest daughter’s 18th birthday party. She turns 18 in March 2015. This may seem like not such a big deal, but in traditional Filipino circles it can be. In the Philippines, a young girl’s 18th birthday party, held as a ball, is called a debut (pronounced as “deh-boo”). My sisters and cousin and I did not have a debut ball when we each turned 18. They can be super expensive. We weren’t really the sort of girls to ask for such lavish birthday parties either. But, I must admit, in my heart of hearts, I wanted the poofy dress, the tiara, and the make-up. It feels weird to say it, but it is true. My sister came close to participating in our barrio’s annual Santacruzan, but for some reason it didn’t happen. I don’t know why. I also remember feeling twinges of envy. I was aware that the niggling feelings were in there somewhere, but even then I felt unsure about acknowledging the feelings. I suppose I was much more invested in the Filipino cultural virtue of modesty and my comfortable “nerd/studious/conservative” box to accept that I wanted to feel and look pretty, even for a few hours. (In Manila, “conservative” is usually used as a synonym for “modest.”) And, of course, I was more inclined to suppress these feelings than endure the merciless teasing I would have received from my relatives. My Ignacio cousins know what I’m talking about. This teasing is called biro, and though it’s all in good fun and done with love and affection, it could get really painful…and down-right mean and ugly. Then, there’s Maddi, my daughter. What am I imparting to her by doing this? I started doing all the planning and thinking because she asked about it and agreed to do it. Even after I told her about the cotillion dancing and the 18 roses and candles dance. She still said ok. I couldn’t believe it. She wanted to do it. My young-adult daughter, a founding member and officer of her school’s PRIDE club (People Respecting Individuality, Diversity, and Equality), is okay with having a birthday celebration that is traditionally rooted in a colonialist, heterosexually normative, and classist practice. Of course, she and I would not be who we are if we didn’t turn her debut ball into an opportunity to subvert the traditionally received norm and reappropriate what we can. Striking that tone, balancing respectful homage and irreverent transformation, is something I’d like to accomplish with Maddi’s debut. I hope we can pull it off. Meanwhile, the cognitive dissonance is there for me to examine and question. Got thoughts and opinions? I’d love to hear them in the comments. Modern baro’t saya. Image from MusaManila. *The Cry of Balintawak refers to the first event of the Philippine revolution, when the Filipino revolutionaries ripped up their Spanish-colonial-government-issued papers. Balintawak refers to a geographical place near (or within?) Kalookan City (Caloocan City), where the historic event took place. 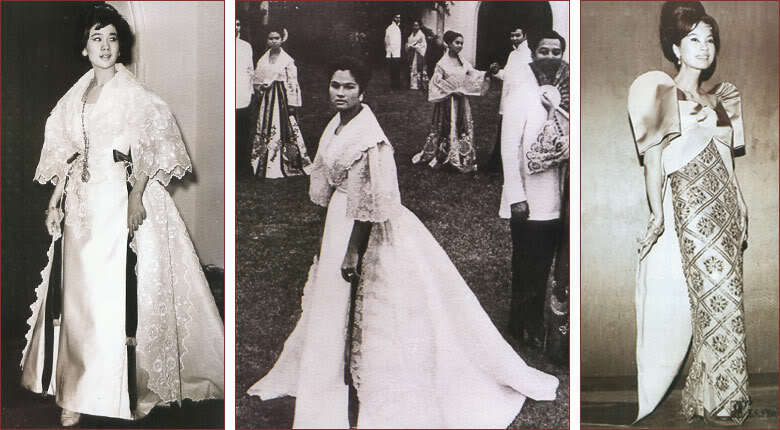 Balintawak is also a look or dress that is native Filipino female fashion. It is strongly associated with the Tagalog region. At first, the Balintawak look was associated with rural, peasant life. It has since been adopted into high fashion and developed as formal Filipino wear for women (alternatively known as terno). Monumento Alay Kay Gat. 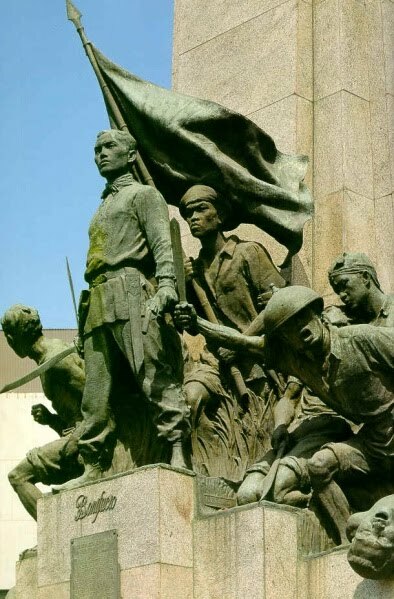 Andres Bonifacio at sa Kataastaasan, Kagalanggalang na Katipunan ng mga Anak ng Bayan (KKK). Disenyo ni G. Guillermo E. Tolentino. 1933. Caloocan City, Philippines.